The threads in an overlocker are, in my opinion, by far the most daunting aspect. So daunting in fact that I decided to cover them in two seperate blog posts. If you'd like to find out more on how to set up the threads at the start, which thread to use, how often to change it etc then you can find all of that here. 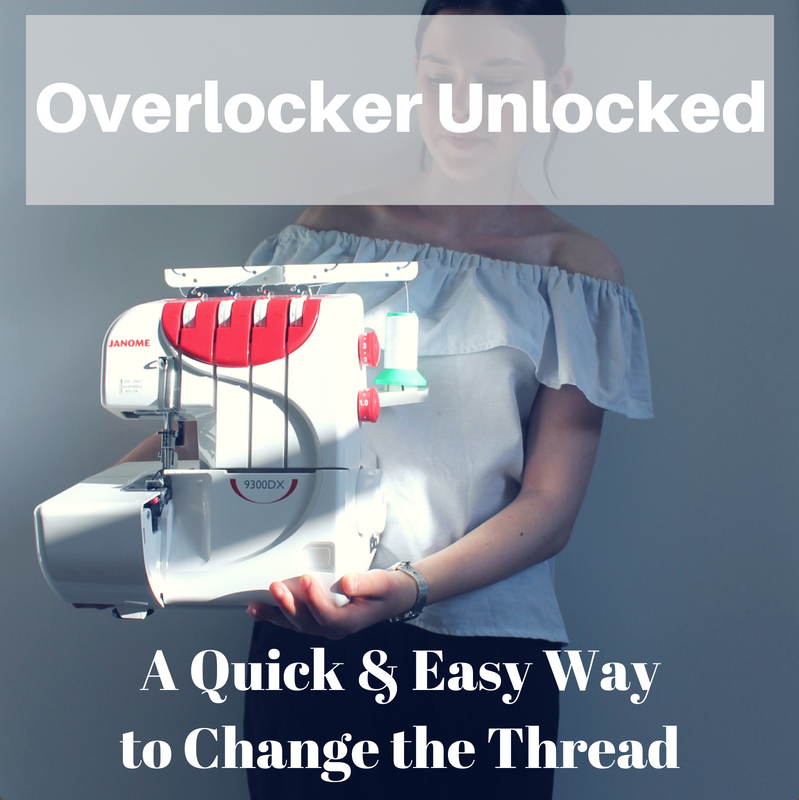 Today I wanted to share a cheat method of changing the overlocker thread than I knew I had to photograph and explain as soon as I discovered it; no-one with an overlocker should be kept in the dark about this method! The only thing to bear in mind about this way of changing the thread is that you need to make sure you do this before the thread runs out completely. The first thing to do is cut the thread of each of the spools, leaving about 2" of thread beyond the metal part (witht the holes in it) at the top of your overlocker. You can then replace each of the old spools witht the new ones, making sure that the thread from the old spools (in my case the black thread) is still running through all of the other parts of the machine. Tie the new old thread together in a tight and secure double knot. Leave about 1cm of thread either side so that the knot doens't unravel, but not too much or it will get stuck. Turn the tension disks to zero - this is really important or the thread will snap. It helps to make a note of what your original tension is before hand to avoid having to spend time adjusting it later. Carefully lift the thread from each spool one at a time and pull down until the knots are positioned below the tension disks. Make sure that you're pulling the thread down off of the new spools and not up from the old thread still inside the machine. Hold onto the threads coming out behind the foot and gently tug them until the new thread starts to move through the machine. If you're careful you should be able to hold onto all four threads at once, but you can pull each thread individually if you'd prefer not to take any chances. 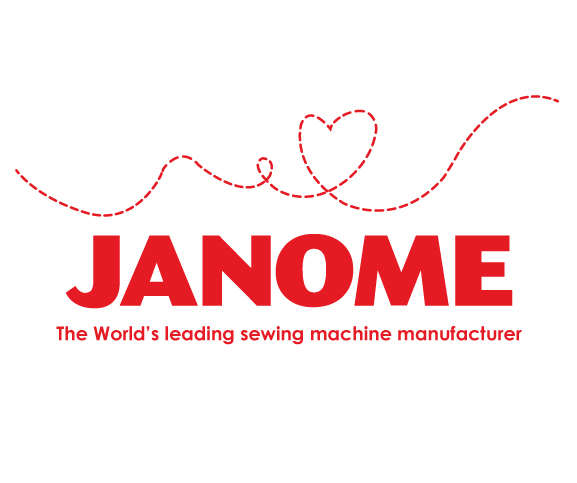 The threads should come through quite happily thanks to the lowered tension, but the knots might not fit through the eyes of the needle; if this is the case, simply pull them as far through the machine as possible and cut above the knot when you reach the needles and rethread them. The last thing to do is to re-adjust the tension disks back to your original tension. I've forgotten to do this a couple of times and trust me, it's incredibly infuriating sewing all the way down a seam only to find that the tension it too low to have actually sewn the seam! And that's it. It's a surprisingly quick and easy technique for a method that will save you countless (painful!) hours of having to thread the overlocker from scratch. You can find the other posts in this series here. A great tutorial! Well explained. I LOVE this method, and use it a lot! It really makes changing threads a breeze! Oh my gosh, what a helpful article. I'm going to be referring back to this a lot I think! Once we have threaded an overlocker once or twice it doesn't seem so bad, although I am guilty of sewing with any old colour because I can't be bothered to re-thread mine!